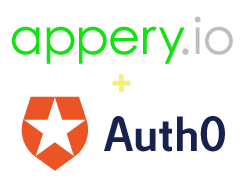 Join the Appery.io webinar this Wednesday, at 11am (Pacific Time) learn how to build mobile apps with Facebook API. Beginning on November 18th, our team will be in attendance at Dreamforce ’13, the year’s biggest cloud computing event. Today, ahead of the event, we’re pleased to unveil key enhancements to our Appery.io platform, especially new capabilities that accelerate the development of mobile apps integrated with the Salesforce Platform. Today’s news significantly impacts the future of mobile app development as it further establishes Appery.io as the most complete and preferred solution for accelerating mobile innovation in the enterprise. We are looking forward to our next webinar with Max Katz, Head of Product Management and Developer Relations for Appery.io. This time, he will be explaining how you can get the most out of Appery.io using its newest features, like advanced collaboration, Heroku integration (for publishing apps), and new UI components. You can see all of these new features demonstrated in this hands-on webinar. And, if there’s time, we might be able to squeeze in a little bit of the latest on Exadel RESTXpress, our secure web integration product … maybe. We Made Finalist for the 2013 MobITs Award – Help us WIN with your vote now!